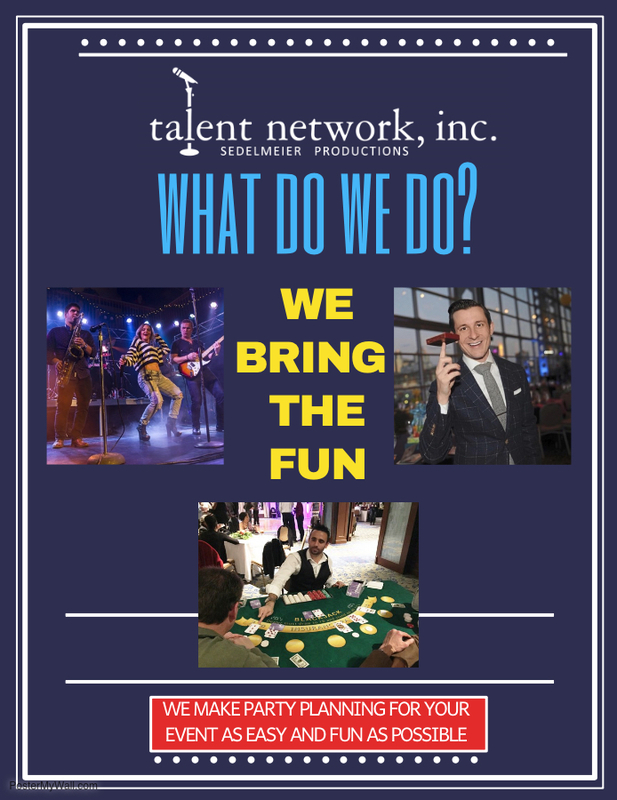 TITLE: WHAT Do We Do at talent network, inc. - talent network, inc.
WHAT kinds of things does talent network, inc. do? 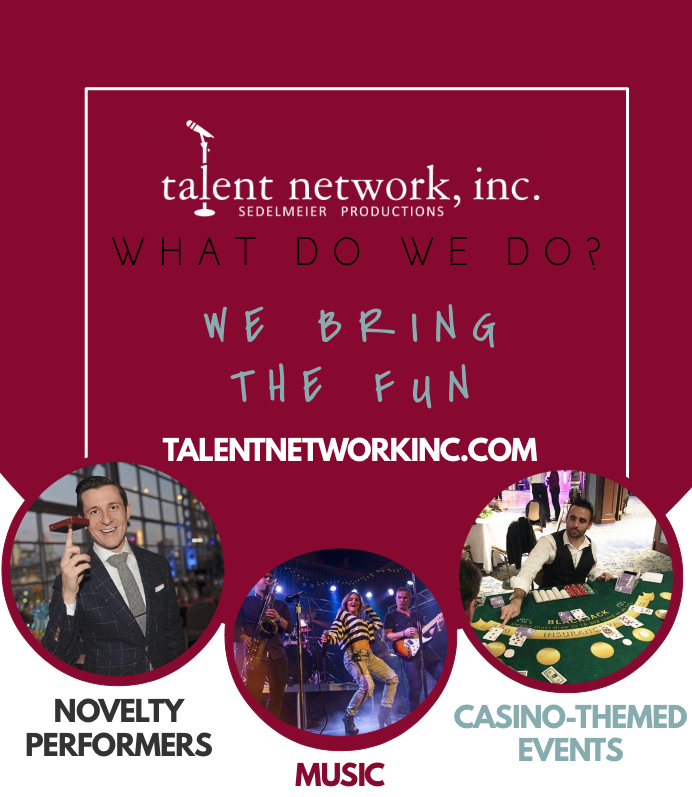 talent network, inc. is an entertainment agency that specializes in providing entertainment for corporate events, colleges, conventions and private parties. We manage and roster a large selection of what we feel are some of the best musicians, comedians, speakers, casino parties, game shows and novelty performers, and we personally see every artist on our roster perform, so we know the quality of their show.